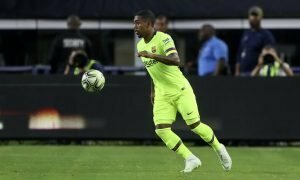 Arsenal given green light to secure amazing deal for 69-goal striker | The Transfer Tavern | Where football transfer rumours fly or die! Arsenal supporting punters here inside the Football Transfer Tavern are looking at the news filtering in from L’Equipe (via Metro) – with the publication suggesting that the Gunners have been given the green light to secure a deal for Paris Saint-Germain striker Edinson Cavani in the summer. Our resident Arsenal fans here in the Tavern were hoping that this would be a transfer that would be completed in this January window, but they all agree that would be incredibly hard to do! The Uruguayan striker has notched 69 goals since arriving at the French outfit from Napoli, and it seems that Arsenal boss Arsene Wenger is keen on securing a deal for the clinical forward. Our landlord here in the Transfer Tavern thinks this would be an amazing bit of business for the north London club, but feels the Premier League giants should not fork out an extortionate sum of money for the striker, as he is reaching the latter stages of his career at 28-years-old. 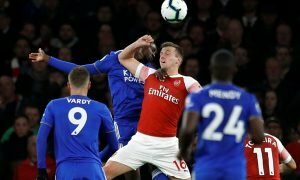 The media outlet suggests Manchester United and Liverpool are also keen on a move, but the Arsenal regulars feel he will opt for the Emirates Stadium over any other club! Arsenal fans….. What do you make of this news? Would you like to see Cavani at the club? Let us know your thoughts and opinions in the comments below!